After three years of implementation of the Programme Strengthening the Women’s Defence of the Environment in the American Chaco (Argentina, Bolivia and Paraguay); and in the current framework of the Global Alliance for Gender and Green Action (GAGGA), the groups of women environmental defenders play an essential role in the fight for environmental rights, and have managed to install the environmental issues as a public agenda. They have also addressed environmental issues as a case of violence that affects women in a particular way. The Programme continues within the framework of the financial support offered by the Global Alliance for Gender and Green Action – GAGGA (2016-2020), a joint initiative with other women’s and environmentalist funds and NGOs, which was created to promote the recognition of the intersection between socio-environmental justice and gender equality. 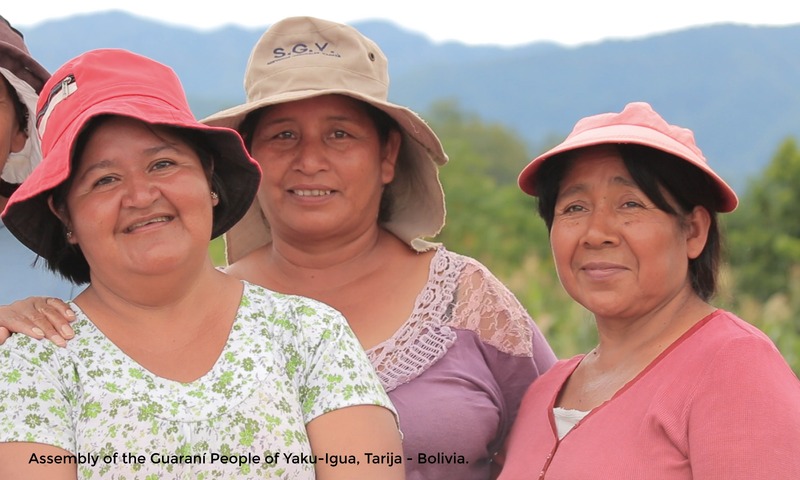 Since its implementation in 2016, organisations from Paraguay and Bolivia have been supported on a sustained basis, mostly groups of rural women, indigenous women or women from marginalized rural or urban sectors. With the support we offer from Fondo de Mujeres del Sur, women who defend the environment participate in training spaces on topics such as: resource development, political advocacy and sustainability of their organisations. In addition, from the development of their projects the have participated in mobilizations and spaces for debate, training and advocacy at national and international levels, among which we highlight the 14th Latin American and Caribbean Feminist Meeting in Uruguay-EFLAC, the 4th Latin American and Caribbean Encounter of Rural Women- ENLAC, in Panama; and the Alternative World Water Forum, in Brazil. There are currently 11 groups that we support in Paraguay and Bolivia, which work in various areas to make visible their struggle and their commitment to cultural identity and the preservation of their territories, allying themselves with strategic contributions to the policies and practices that provide answers and solutions to gender issues in terms of land tenure, recovery of ancestral communal territory, access to water, food and a clean, healthy and safe environment.